When you have a lot of junk to remove from your yard or your home remodeling project, you should consider renting junk removal bins. Before you decide go with a bin rental service, make sure what the services they offer are. There are companies that arrive at bin rental prices after taking into account the actual charges to rent your bin and the charges for waste disposal. Additional charges: In case you want to keep the bin for a time longer than the specified term, the garbage company will charge an extra fee on a per-day basis. If the bin is filled with a mix of debris such as brick, asphalt and cement, an additional fee for sorting of the garbage type is charged. Are the bin sizes offered by different services the same? Compare rental prices based on the dimensions. Variable time-frames lead to varying prices. Are you renting for a week, a day or three days? Also, does the service include the weight of the debris that can be dumped into the bin? Different firms charge different bin rental prices based on the type of junk or debris. Specify to the service what kind of junk you will be dumping into the bin – metal, cement, concrete, trashed household items. You also need to ask if there is a green charge imposed because of environmental considerations or fuel charges required for dropping the bin and picking it up later. Find out if it is included in the overall bin rental prices quoted by the disposal company. 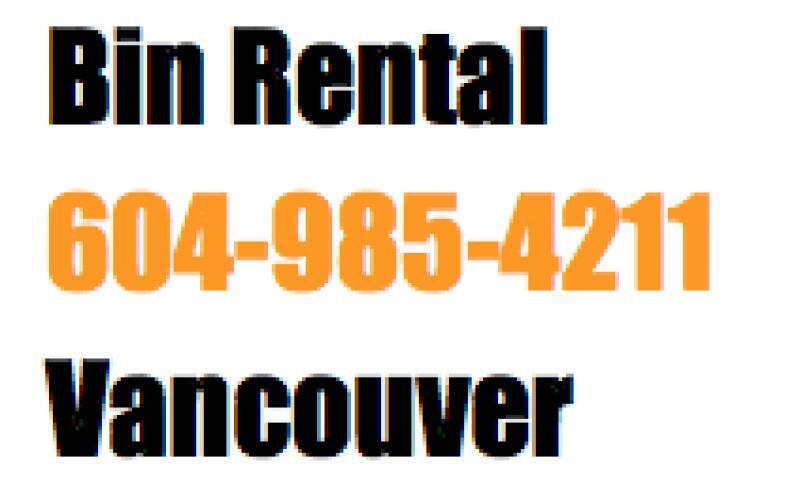 Watch our bin rental in Vancouver. We need a bin to clear out a bunch of junk from our basement and garage, as well as to hold our basement carpeting that we are removing (approx 600- 800 sq. feet of carpeting and underlay.) 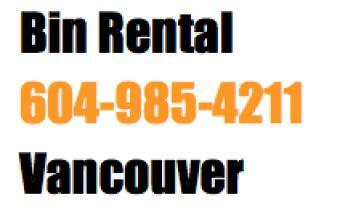 Last time we rented from you was a few years ago, and we were very pleased with the service. It is our hope that we can have a bin delivered on Friday at some point so we can fill it over the long weekend.